What is the benefit of a rainbow tone? Well, it blends in perfectly with every color. 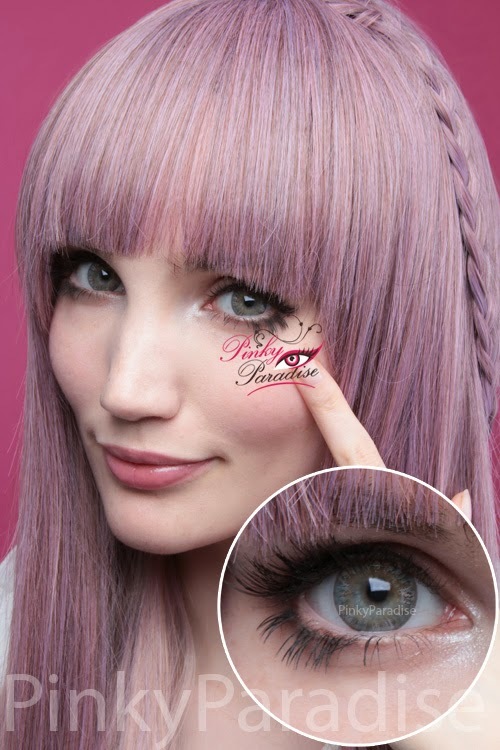 Inspired by a rainbow, Vassen Rainbow Eyes Grayish Blue contact lenses are suitable for every eye and hair color. It enhanced your eyes and makes you look gorgeous. As the name suggested, the lenses are perfect mix of gray, blue and a hint of yellow-brown. It had star-explosion-like-formation that will give your eyes a vivid, yet exotic look. Yes, these are grayish blue lenses that will suit everyone! This colored contact lens is best used as Anime Contacts for character Storm, sailor moon, Rogue, Sakura, Daenerys, Akaashi Keiji, alice, Neji, Cat woman and Raven from Teen Titans.